Cocaine is a nasty drug that wreaks havoc in the brain of the abuser. Unlike heroin that has severe physical withdrawal symptoms, coke works mostly on the mind which means that the majority of withdrawal symptoms are psychological. This, however, doesn’t mean that cocaine isn’t as dangerous as heroin is. On the contrary, cocaine is more dangerous than heroin because a lot more people abuse it because they think it won’t harm them. What is severe cocaine addiction and what it represents? A severe addiction to a drug means that the addict has to use it to feel normal. If they don’t use it for some amount of time, then the withdrawal symptoms will appear. These symptoms are psychological which means that they can be as dangerous as physical symptoms, but they aren’t as noticeable. Cocaine withdrawal symptoms include everything from difficulty to concentrate, exhaustion, and fatigue to nightmares, depression, restlessness and suicidal thoughts. Some of these can lead to serious medical issues and even death (suicide). Cocaine can also cause physical withdrawal symptoms that include nerve pain, tremors, and chills. Cocaine detox isn’t as painful as a detox from other drugs, and thus, in the majority of cases, medical assistance isn’t necessary. Group sessions and the support of a professional is enough to help the addict go through the detox process. But, in some cases the medical support is essential. This kind of assistance is necessary if an addict relapsed after detox that didn’t involve medical aid. In this case, the addict has to spend at least 24 hours under surveillance after which he has to go through the same process other addicts go through. Cocaine is one of the most expensive drugs and therefore it is preferred by the rich. Many actors and other celebrities had to deal with cocaine addiction because they had the money and the opportunity to abuse this drug. Not all of them manage to overcome their addiction. Those that fail usually end their careers because few people want to work with known addicts. Individuals from middle strata use cocaine as well. The problem with that is the purity of the powder they use. Dealers tend to cut the cocaine with various medications to increase the amount they can sell to addicts. Those from middle strata have no choice but to buy what their dealers offer. This can lead to serious medical problems as the mixture of the drug, and those additives can lead to various diseases. Withdrawal from cocaine that isn’t pure is also harder than withdrawal from pure cocaine. Additives that dealers use can cause various physical and psychological withdrawal symptoms that make it hard for the addict to go through the detox process and come out clean. We always try to help addicts, no matter whether they are rich or poor. Now, whether they will relapse or not is up to them as we can’t do anything once they finish their withdrawal process. It’s a sad thing to say, but cocaine is one of the drugs that every individual thought about trying at least once in their life. The same thing applies to weed as well. People don’t consider cocaine dangerous as it is and thus they are willing to check what it is all about. The only problem is that cocaine is highly addictive and only a few people resist the urge to use it again. The best way to avoid having to deal with cocaine addiction is never to try it. This drug can and will destroy your life. Trying it once may be great, but you can’t guarantee that it will be the only time you try it. Just think about the reason you want to try it. Is it to avoid other problems? If it is then don’t try it as you will become addicted in a matter of days. Just think about everything you will have to throw away because of the cocaine, and you won’t even think about trying it. 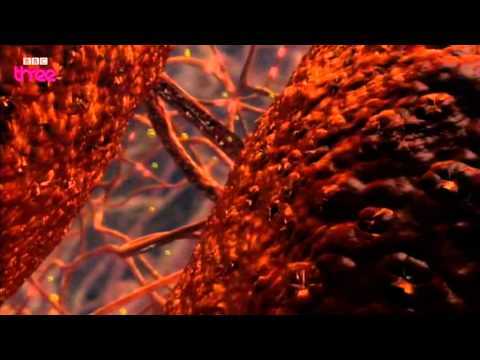 How does cocaine addiction happen? People are fragile creatures, and many different factors can push them into the world of cocaine addiction. Some try cocaine due to some past trauma and childhood experiences while others do it to fit in. Then there are those who use cocaine because it is available to them (they have enough money to use it on a regular basis). All of those lead to addiction. 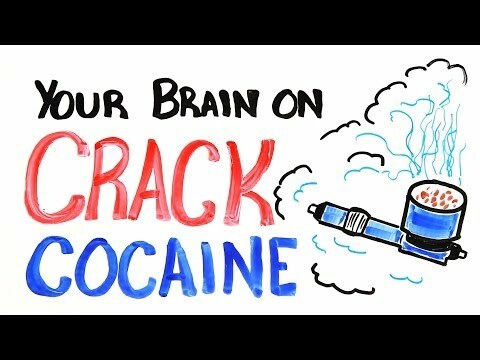 People become addicted to cocaine because they don’t know how addictive it is. This drug creates a state of bliss and euphoria, and everyone likes that. Continuous use of this drug causes the body to develop a resistance to the same. This means that an addict needs more cocaine to experience the sense of euphoria they felt in the past. Those that become addicted to cocaine have to be high at all time as they can’t function without the drug. Their lives revolve around using cocaine so they can be “normal” and interact with people without any problems. Individuals who use cocaine for a prolonged amount of time have it hard if they decide to change their lives and stop using the drug. Why are people reluctant to abandon cocaine? Several factors prevent people from merely letting go of their addiction. The first factor is the physical dependence. An addict has to use cocaine because it makes them feel great. Their body craves the drug, and their mind is too weak to resist. The next factor is the withdrawal avoidance. Addicts know how harsh withdrawal can be and they are afraid of experiencing pain and discomfort that comes with that process. Another crucial factor is the tolerance. It’s hard for the addict to go clean if they use cocaine for a long time because the tolerance forces them to take a lot more cocaine. Higher the amount of the drug the addict takes means stronger withdrawal symptoms. This is why it is easier to quit if you use a small amount of cocaine rather than huge amounts on a daily basis.